Back in May, my friend Lauren asked me for some dates I'd be free in November to go out for a night to celebrate my birthday. She said she had to buy tickets in advance, but wouldn't tell me what the tickets were for. I had no idea what she had up her sleeve until months later when I saw a commercial on TV for Mary Poppins the musical, playing in L.A. I knew that was where she was taking me! First, after we parked, we noticed a street that was blocked off with bright lights and a film crew. Some nice policemen told us that Heroes was filming. We expected their next sentence to be something along the lines of "You can't go any further to see. Stay back, please." Instead, they said, "There's some stars from the cast...you should go see what they're up to!" We got a blessing from the police...I mean, we had to investigate! Seconds later, we found ourselves about fifty feet from Milo Ventimiglia, filming a solo scene. Milo plays Peter Petrelli on the show. 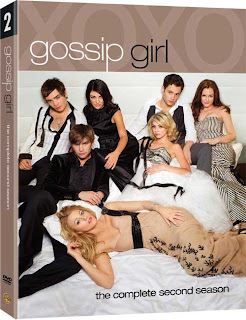 Now, I've only seen the first (excellent) season, so I can't vouch for the rest of Heroes. But I've been a longtime Milo fan since his days as Jess on Gilmore Girls, where I kind of fell in love with his character as soon as he stole Rory's book and wrote in the margins. Anyway, Lauren and I stood there watching him filming for about five minutes, and then they finished and started tearing down everything. Milo just sat down on the curb...alone...like he was waiting for us. So we walked over to him and asked if we could get a picture. And he was so sweet! He even took the photo himself. I'm not really sure what I said or what happened. If I didn't have the picture, I might believe I imagined the whole thing. I just hope I came off as a normal person and didn't ask if I could run my hand through his hair or anything. Lauren said I was composed, so I'll stick with her version of the story! I've seen plenty of celebrities over the years, but never one I'm actually a fan of. It was so great! After we met Milo, we had dinner at the Daily Grill and then asked the host how to find the shuttle to the Downtown Music Center. (We read on a brochure somewhere that we'd be able to get free transportation to the theater, which was about eight blocks uphill from where we parked.) "Actually, we have a free stretch limo that I can call to pick you up and take you instead." Um...okay, guy! After the show, our limo was waiting to take us back to our car. A trip to L.A. with a limo ride and a celebrity sighting...we definitely got the royal treatment last night! It was practically perfect in every way! No doubt you twitterers saw the #BlackFriday hashtag as a popular trending topic yesterday. It’s a visceral issue for nearly everyone; I have a hard time finding people who are indifferent to it. They either love the challenge of finding the best bargains and fighting the crowds, eagerly anticipating marching into the malls with coupons, lists, and battle plans. Or, they stay inside their turkey-reeking homes and enjoy a lackadaisical day of lounging and leftovers, fully embracing the lingering effects of their Turkey Day food comas. The sanity of people who participate in this madness every year used to be highly suspect in my mind. I’d see the news coverage of people waiting in lines outside in the cold and shopping at midnight…at Walmart. I’d hear about the fights that suburban moms would get into over Furbies and Tickle Me Elmos. I’d like to think that on any other day, these people would pass for normal humans. It’s true that Black Friday doesn’t really bring out the best in humanity. The mob mentality rules as logic and manners are thrown to the wayside and impatient and entitled people push each other around in the stores. Plus, it’s the one day a year that the very worst parkers and drivers go to the malls. Judgment is entirely led by the desire to feel like a victorious consumer. BUT, if you can tough it out, you really can find great deals with minimal pain—financial, psychological, or otherwise. The thing is…you’ve got to want it. Black Friday is not for the weak-hearted. No. So, here are some of my tips for a pleasant (yep, I said pleasant) and productive Black Friday experience. 1. Don’t get up earlier than 5. I mean, have some self-respect. 2. Do go to Starbucks. You have just ripped your body from the womb of a warm bed; listen to its screams for caffeine and fuel. Secondary benefit: those ever-pleasant baristas will help you start off that stupidly early first hour of your day with a smile. When I went in yesterday to grab a peppermint mocha, the first barista asked me if I was heading out to shop. The second barista rolled his eyes and said, “Well, I don’t think they’re going deep-sea fishing.” That’s comedy, people, and it’ll start your day off right. 3. Wear comfortable clothes that are easy to change out of. While other shoppers focus on electronics or toys, I focus on clothes. Yesterday, I probably tried on twenty party dresses and fifteen pairs of jeans. (Like I said, you’ve got to want it.) Oh, and never enter a dressing room without three items, minimum; make the hassle of changing worth your time. 4. Be nice to everyone, but especially store employees. There are two reasons for this: First, it’s important to be nice in general, but I especially feel sorry for all the crap that people in retail have to put up with from shoppers who want to argue for ten minutes about the validity of coupons or the misleading fine print in a mail ad. I sympathize with them. And second, they’ll be much more helpful and responsive if you’re nice. One lady gave me an extra 11% discount yesterday because I just asked how she was doing. 6. Leave your pets at home on Black Friday. I saw a man shopping with his canine companion at Macy’s yesterday. And it wasn’t even a small purse dog like the kind women use to accessorize…it was big! And it was wearing a sweater. Like, why would you do that to your dog? 7. Make a list and stick to it so you don't buy things you don't need just because they're on sale. I needed a skirt and sunglasses; I bought a skirt and sunglasses. I also made sure I had a list of people I needed to buy gifts for. Remember to never buy something just because it’s on sale; only buy it if you really love it. Alright…now, start planning your shopping strategy for next year! Last night I saw The Road. You know how much I love the book. I had been anticipating the film's release for a long time, although I was prepared to be disappointed. After all, making a Pulitzer Prize-winning book into a film must be daunting. Would the film do it justice? Well, yes; it actually did. It’s as haunting and unforgettable as the book. The Road, simply put, is a story about a father and son fighting to survive in a post-apocalyptic world. One of my favorite scenes in the movie is a conversation the father has with his boy, teaching him to always keep “carrying the fire inside.” He instills hope in his son when it doesn’t make any sense and urges him to never give up. During that conversation, I thought, what is keeping that fire in their hearts from going out? They’re sitting on top of a lifeless planet, starving, and being hunted by the “bad guys,” and yet, they choose to hope. And it turned out, there was a reason for it. I originally started this post to write something Thanksgivingy. I wanted to list some things I’m thankful for, like peppermint stick ice cream and honest people. But after seeing this movie, I’m just thankful that God has given me hope in something greater than myself or the things of this world. And I’m thankful for my family and friends who bring me comfort and joy, who challenge me, and who love me. May we be thankful for all the things that ignite the fire of hope in our hearts. Christmas lights on palm trees. One of my most favorite things. On Saturday, my friend Sara and I trekked to Anaheim to the Muzeo, which is currently hosting the Treasures of Napoleon exhibit. I was excited to see it because I really didn't know much about Napoleon. While driving there, we tried to remember facts about him...all we could come up with was that he was short, he was excommunicated to Elba, and he was funny in Night at the Museum 2. Fortunately, we were able to learn a little bit more about him after attending the exhibit, which covered everything from his early life up to his death. The first thing we wanted to figure out was what he really looked like. 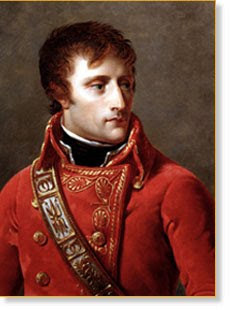 Obviously, Napoleon was conscious of controlling his image, and we weren’t sure if the portraits we saw were "real" portraits or just idealized images of a “hero.” Judging from the first-known portrait of him (above), at age twenty-eight, he was pretty attractive. Sara said she’d “totally go out with him.” Ha. The other thing we wanted to figure out was who he really was, which we didn't really get a grasp on. From the information in the museum, we learned that he was a keen judge of character, yet somehow trusted disloyal colleagues. He seemed to be deeply in love with his first wife, but divorced her after she failed to produce an heir. He cared about his soldiers, yet abandoned them when he felt it expedient. He did everything he could to strengthen the French nation, but in doing so, kept her in a state of war for twenty years. After all this time, he is still a mystery. His peeps discovered the Rosetta Stone when they invaded Egypt! (I'm jealous. I've always wanted to make an important archaeological discovery.) Napoleon brought teams of scholars, artists, and scientists along with his army when he traveled to document what they found. He valued education, was a voracious reader, and loved math and geography. He was notoriously frugal about his clothes and he often would get things repaired that would have been easier to replace! The exhibit had a sleeve from one of his jackets…the story goes that a waiter spilled sauce on the jacket, he went to get the sleeve replaced, and the tailor kept the sleeve. You can still see the sauce on it! I bet if eBay had existed back then, tons of Napoleon’s things would have been sold on it. 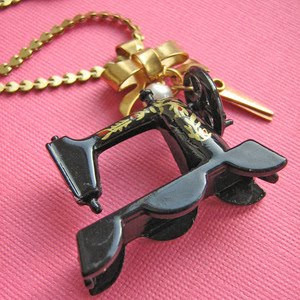 Even during his lifetime, his personal possessions were regarded as treasured relics of a great man. The exhibit even has a lock of his hair. His grandnephew founded the F.B.I. Random! Sara and I really enjoyed the exhibit. It’s easy to see how Napoleon used the arts as propaganda to build his legend and to instill respect and admiration for himself and his policies. He seemed to be in complete control of his image. It’s crazy to think about the power of art and how it has shaped our view of historical figures. 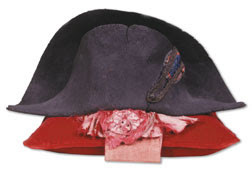 The last part of the exhibit was a dark room with a spotlight on Napoleon’s hat, the greatest icon of the legend. He wore it “broadside on,” meaning the sides were parallel to his shoulders, so that he could be distinguished from his officers in battle. It was definitely the gem of the exhibit and a thrill to see! The exhibit is only here until January 8th, so visit soon. One of the best things about my job is that I get to hang out with college students. I often meet up with girls at Starbucks, for lunch, or in the office. Sometimes we just meet to catch up and shoot the breeze. Other times, there is a specific conflict or concern that a student needs some help navigating through. The truth is, I often feel inadequate when giving advice or speaking wisdom into other people's circumstances. What if I don’t have the biblical knowledge they’re looking for? What if I can’t find the right words for them? How can I comfort, help, and encourage them with what I do know? Time and again, I’ve found that when a student has a problem, it’s usually with one person she deeply cares about--a close friend, a guy, or a family member. While she tells me the story, I can see where her heart is immediately: she hates being in conflict, there was some sort of miscommunication, and it’s clear that she loves that other person and wants to make amends. So, I usually say two things. Clear communication, spoken in love, is the key to conflict resolution. It’s what clears up misunderstandings and miscommunicated expectations. It creates the opportunity for resentment to dissolve and for anger to be released. It's a catalyst for change, forgiveness, and healing to happen. It reveals concern and care. And what are the three most important things you can say to someone? I really enjoy Lady Gaga as an entertainer. I love her crazy makeup and fake eyelashes and weird wigs and tights and shoes and other things that she wears that could hardly be called clothing. I love that she values originality and theatrics and expression. I am entertained by the fact that she doesn't care that people question her sanity or talent. In interviews, she discusses her art so seriously, as though she is, as a performer, creating something important and noble for the world. Misguided though she is, she intrigues me. She's just ridiculous...everything about her. And...I kind of love it. She never fails to entertain me. Deserved or not, she definitely has my attention...and I wonder what crazy thing she'll do next! Does the name Michael Schoeffling ring a bell? No? Trust me...you know who he is. He's only made a handful of films, yet he's in three of my all-time favorites. And he's perfectly cast in each of them, which makes sense, since the characters he plays are not entirely unique to each other. 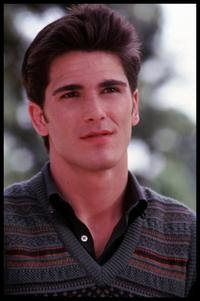 In Sixteen Candles, he plays hunky Jake Ryan, the desirable high school dude every girl loves, yet he doesn't realize how desired and beautiful he is...he's quiet and unassuming. He's brooding, he's waiting for something, he's unfulfilled and sensitive and anxious. And he's adorable. In Wild Hearts Can't Be Broken, he plays a young man named Al Carver, who assists his father with a diving horse show during the Depression. His father is abusive, yet Al seeks his approval every day. Al's a tortured soul who never feels he can do anything right in the eyes of his dad. He needs rescuing, he's pensive, and he's brooding again...he's broodiful. And then there's Mermaids. Michael plays Joe, the quiet outsider who works at the town convent. He's the victim of small-town gossip; he's misunderstood, he's a loner, he's brooding, and again, he's so cute. These characters make me think that it wasn't just acting, but that Michael--or as I like to call him, Mikey--was kind of an emo dude. These days, he's keeping it real in Pennsylvania, where he sells handmade furniture. I hope it makes him smile more than acting did. But seriously...what it is about brooding men? Mr. Darcy, Heathcliffe from Wuthering Heights, Luke from Gilmore Girls, Jack from LOST, Spock, Ryan from The O.C., and of course Twilight's Edward Cullen...they're unfailingly attractive. (One of my favorite brooding musicians? Jakob Dylan.) Is it the mystery? The intrigue? That touch of a tortured soul about them? I don't know. I don't get it. But it works. It's trendy to be part of a cause, but when it comes down to it, not many people believe in something enough for it to impact or change the way they live their lives. It's easy to wear TOMS Shoes or a rubber bracelet, or to purchase something you normally would that just happens to benefit a cause. But when a world problem asks more of us, the answer is often no. That's not the case at Crave, the college-age ministry at Saddleback Church. Some of the most compassionate and mobilized students on the planet are involved in this ministry. They are not afraid to sacrifice their time or money or energy or resources. They do what it takes to make a difference in the lives that society has ignored and forgotten. 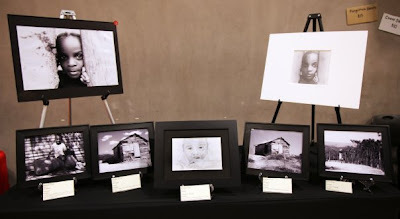 A few weeks ago, Crave held an art show to promote "The Forgotten," a new name to the face of Crave's outreach ministries. (These pics are all from the show.) 450 people attended this event! Over 40 artists displayed 100 works of art, including paintings, drawings, photography, graphic design, fashion design, and video media. There were also performaces--music, skits, and poetry. 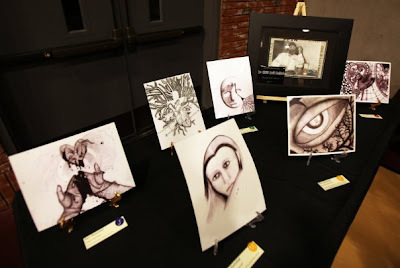 These weren't professional artists, just college kids from Orange County--talented students who have been moved by their experiences with serving those who society has deemed the least, the last, and the lost. Their artwork was a response to the poverty, pain, disease, and needs that they've seen around the world and in Orange County. These students have slept in the streets of Skid Row, spent months in Africa, gotten up at the crack of dawn on Saturday mornings to go to Compton and do physical labor all day, spent their own money to show Christ's love to people in developing countries instead of on vacations with their friends. One student is learning Russian at Saddleback College because she wants to devote her life to serving the people of Ukraine. 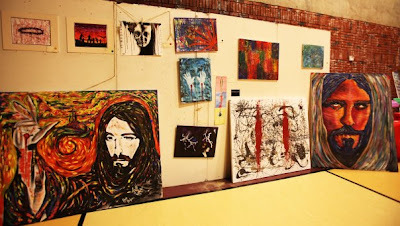 The point of the art show was to create an awareness for "The Forgotten" and to give students the opportunities to sign up for outreach ministries. Over fifty students signed up to serve! These students will start tutoring high schoolers in Santa Ana, building relationships with kids at juvenile hall, supporting orphans in Orange County and street children in Rwanda and Ukraine, and visiting the elderly. I'm so proud of this ministry. Our students are constantly challenging me and teaching me about what denying myself, taking up my cross, and following God really means (Mark 8:34). I'm so thankful for them...it's a blessing seeing God changing their lives and the lives of others through Crave, a ministry that God has used to change my life, too. Support The Forgotten on facebook! Contrary to what my roommates (a.k.a. my parents) might say, my room isn’t that messy. What really creates the clutter is the scattered magazines all over the floor and haphazard stacks of periodicals everywhere. If those towers of magazines toppled over, they could smother me to death. 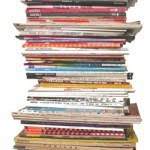 I subscribe to a ton of magazines, and they pile up fast, especially since some of them arrive in my mailbox weekly. I have to tear out the pages with beautiful photos for that huge collage I’m planning on making someday, check out the movie reviews for films I’ll never see, rip out the recipes that I’ll probably never try, and re-read the interviews and articles about people I don’t know or even really care about. I also usually have a notepad by my side, to write down things like “visit Palihouse Hotel in West Hollywood,” “go to papercupdesign.com,” “add Trueblood to Netflix,” or “look up ‘erudite.’” I can’t just throw away the tips, pics, and info! Magazines are so much fun. There’s one for every interest and demographic! I love the fashion ads, smelling the perfume samples, punny article titles, and the glossy pages. I definitely get the most out of my subscriptions. Was Paul a Twilight fan? I actually thought about what I really want over the weekend…you know, the good stuff that can’t be bought. Self-awareness. What an awesome thing to have. Sometimes our oblivion causes us to unknowingly hurt others with our tone, words, actions, and even negligence. We’re also unaware of God’s voice in our lives and don’t see the areas we need to grow in. Self-awareness is a powerful thing that I’d say most of us don’t have a firm grasp on. Kindness. I want the ability to love people to be less of a choice and more of an automatic reaction. I can definitely improve with showing people how much I love and appreciate them. To be myself and like it. I’ve underestimated myself my entire life, and I often say self-deprecating comments or make fun of my interests before anyone else has the chance to, just to show that I’m aware of my nerdy tendencies. But that nonsense needs to stop. I really, really do like myself. I just still need to learn to be unapologetic about it. My birthday's in exactly one month, and Christmas isn't long after that! So I thought I'd provide you with a gift guide, not only to ensure that I get what I want, but, more importantly, to help make your shopping experience easier. Opera glasses. 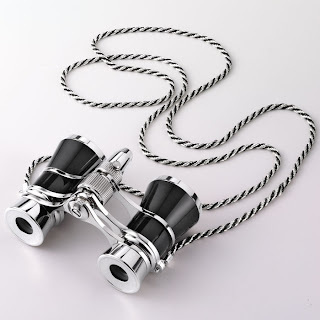 These are so cute and much more dainty and practical than lugging my dad's binoculars to the theater. J'adore by Dior--This isn't even a new scent, but I just discovered it last month. When I first smelled this perfume on a friend, I wanted to nuzzle my face into her neck. It's scrumptious! 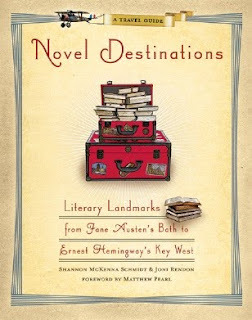 Novel Destinations--the perfect gift for bibliophiles who love traveling, this is a guide to over 500 literary sites across America and Europe. 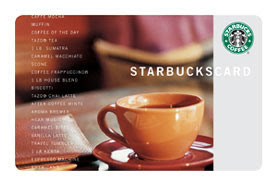 Starbucks gift cards--easy and practical. Speaking of travel, my friend mentioned to me the other day that she had been planning a trip with a couple of her friends. She just got her first passport, was approved to get a week off work, and then...nothing happened. Her friends didn't follow through. And I'm sad to say I'm not surprised. 1. People, even the dearest and most sincere, will flake when it comes to committing financially to things. I'm including myself in that, too. I mean, duh. It's easy to say you're "in" during the planning stages of anything. But when that deposit needs to be put down, backing out is inevitable and the truth is...you should expect it. I never count on anyone being in on the plan unless they've forked out a deposit right along with me. Money talks. 3. If, after you've discussed expectations and made plans, you're having second thoughts about the trip...explore why you're feeling that way. 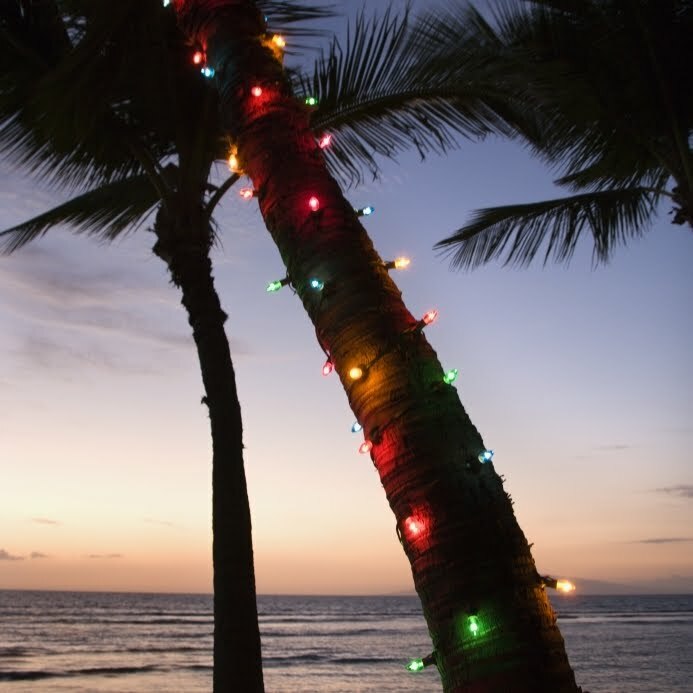 Does your vacation already look totally different than you thought it would? Maybe you're planning to travel with the wrong person. Traveling can bring out the best in people...but it can also bring out the worst. You don't want arguments, differences, or petty annoyances to ruin a trip you're paying a lot of money for. 4. That being said, do be prepared to compromise...most often on things that don't matter (like which bed you prefer in a hotel). Be a team player. This is your friend's trip, too. 5. Traveling alone can be awesome. Things always become more complicated when you have to depend on other people to stay with or take you places. There's freedom to be found in traveling alone. I've met many great people and forced myself out of my comfort zone while traveling by myself, and while it's sometimes been more challenging, it's always been a rewarding experience. 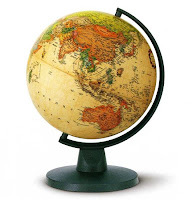 For parts I and II of my travel tips, go here and here. A good trip, an adventure outside of my normal living zone, something to anticipate, work toward, save up for, and dream about...it's tantamount to my personal happiness and fulfillment; I've been a blissful sufferer of wanderlust since I was a kid. 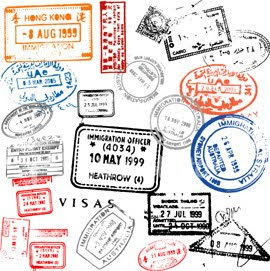 But alas, the time has now come...ten years, twenty-one countries, one visa, twenty stamps, and six international trips later, it's time for my faithful passport to retire and to get a new one. I've eaten fondue in Switzerland--the country's national dish. I've tasted the worst pizza ever, in Rome, from a cart outside of the Coliseum. I tried schnitzel and sacher torte in Vienna. I sipped champagne at a Chopin piano concert in Warsaw and tasted vodka for the first--and only--time in St. Petersburg. I've eaten at Hard Rock Cafes in London, Paris, Moscow, and Madrid. I've cruised down the Rhine River, looking at castles on the hills, and ridden on a gondola through the Grand Canal in Venice. I've played on the Moscow and Barcelona metros. I took an overnight ferry across the Baltic Sea to from Germany to Finland. I've ridden a horse-drawn cart through the Irish countryside and an overnight train from St. Petersburg to Moscow. I've used countless buses, trains, and taxis. I paid 2 Swiss francs in Liechtenstein to get my passport stamped at the visitor's bureau. I spent €8 for a coke in Florence and €40 for a T-shirt at the Moulin Rouge. I paid 10,851 roubles to make an hour-long phone call from St. Petersburg to Orange County...that's over $300 U.S. dollars. (Yikes!) I bowled a 118 at an underground bowling alley in Bordeaux, France, and it cost €3.40. I've been to Platform 9 3/4 at King's Cross station in London. I wasn't allowed to use the bathroom in the Monte Carlo casino in Monaco because I wasn't 21. I've stayed in some nosedive hotels, like the Regent Palace in London (it sounds nice, right?!). I stood in the pouring rain for forty minutes waiting to get into the Vatican. I stayed in a cockroach-infested hotel in Belarus and one of the most-bombed hotels in Europe (in Belfast). In the Dominican Republic, we found an unexpected house guest--a tarantula! I almost got hit by a car in Russia. My credit card was declined while I was in London and I never did get that Rosetta Stone backpack from the British Museum. In an Irish castle, a spider came down from the rafters and landed in my dinner. I've seen the Elgin Marbles at the British Museum, chatted with Mona Lisa at the Louvre, and marveled at the tiny size of the Venus of Willendorf at the Naturhistorisches Museum in Vienna, which is considered by some to be the "world's first work of art." In Toledo I saw El Greco's masterpiece, the Burial of Count Orgaz, and saw the sparkling Faberge eggs at the Kremlin Museum in Moscow. I couldn't stop looking at Michelangelo's Pieta in St. Peter's, the most beautiful sculpture in the world. I saw one of my favorite paintings at the Hermitage in St. Petersburg--Rembrandt's Return of the Prodigal Son. I've seen Vermeer's Milkmaid at the Rijksmuseum in Amsterdam. I never looked down for more than a minute while I was in the Sistine Chapel. I'm so sad that I have to get a new passport and start all over! I don't want an empty, pristine passport...they're for amateurs. I guess I can stomp on my new one and wear it in a little bit before I use it...I wonder what my first new stamp will be...and when! This excursion reminded me of why I loathe serve-yourself yogurt places. First, have you noticed that they all adhere to some strange rule that only atrociously uncomfortable quasi-space age décor may be used? Plastic molded chairs and furniture that looks like plastic bubbles? Are you kidding me? I understand that I might not be the target demographic for a frozen yogurt place located 200 yards from a high school, but the static, uncomfortable atmosphere pretty much deters me from spending any more time in there than necessary. Second…I hate swirling my own yogurt. I have never developed any yogurt swirling skills, nor do I desire to, unless I’m being paid. 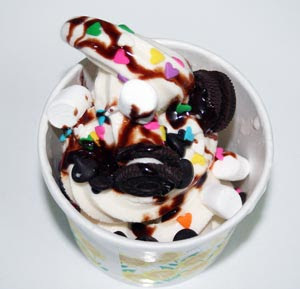 I’d prefer to purchase yogurt from an establishment that will provide me with a perfectly swirled little cup of frozen yogurt. We all know that pretty food tastes better. Third, why are the cups at these places, even the smallest sizes, so huge?! These small buckets encourage me to pay for a ton more yogurt that I won’t finish and have to pay for. 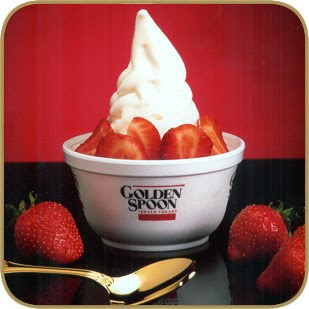 I’ve never eaten anything larger than a small size at Golden Spoon. Fourth…do-it-yourself candy toppings? That can’t be sanitary, especially when taking into account the number of young, grubby hands that have probably infested those crushed Oreos and gummy worms with H1N1 and the like. If I want to eat things that have been touched by other people, I’ll go to the salad bar at Sizzler. Golden Spoon, you will always have my heart. 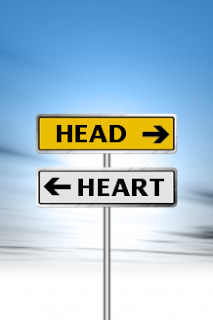 Do you usually make decisions based on your emotions, trusting that if you "go with your heart," you'll do what's best? Or do you try not to let your emotions get the best of you and instead base your decisions more on reason? When your heart wants to call that person but you know you shouldn't, what do you do? Go with your gut? Or put the phone down? What about when it comes to your understanding of God? The quote in the title of this post shows that heart and reason are definitely connected, but in Pascal's "Pensées," or "Thoughts," he stresses the role of the heart, rather than reason, in our knowledge of God. Pascal writes, “We know the truth, not only through our reason, but also through our heart.” Although he doesn’t criticize reason, he explains its limitations. “As if reason could be the only way in which we can learn!” There are an infinite number of things which are beyond our reason…for example, supernatural things. The role of the heart is stressed in Pascal's writing, but the Bible says that the heart is deceitful. We can’t always trust our feelings. Our emotions can distort reality. For example, I know that when I am feeling bad about myself, sometimes I project that feeling onto God and feel that that is how he sees me, which is not the truth. Our hearts, our emotions, can distort our reason. So reason and heart are connected. While I agree with Pascal that the heart is an important factor in our knowledge of God, I think that reason is also important, and I don’t know that I would consider one more important than the other. I think there needs to be a balance. Galileo said “I do not feel obliged to believe that the same God who has endowed us with sense, reason, and intellect has intended us to forgo their use.” Now, Pascal didn’t say that we should forgo our use of reason, but I love that quote because it does remind us that our use of reason comes from God, too. Pascal says that the inability to prove God’s existence by reason demonstrates the weakness of our reason, not the uncertainty of our knowledge, so we need to “humble reason,” which would like to be the judge of everything. He also says that it’s just as dangerous for someone to know God without knowing their misery as it is for someone to know their misery without knowing the Redeemer who can heal them. I love that, because he's making the point that the heart has to be involved in order to understand the Gospel and what a relationship with Jesus is. Can you know God without loving him and knowing who you are in relation to him? I find Pascal's concept so relevant to my own journey of finding a relationship with God. When I first started seeking God, “reason” was the driving force for me. I needed evidence and answers to my questions. Soon though, the heart aspect became a factor. When I felt that I was presented with enough evidence about the resurrection and realized in my heart that he is Lord and Savior, I committed my life to Christ. Now that my heart is so much more involved, evidence isn’t as important an issue for me because I am connected to my savior, but I really think it takes both reason and heart to have a knowledge of God. It did for me, anyway. So, while I appreciate Pascal’s focus on the involvement of the heart in our knowledge of God, I also don’t want reason to be humbled any more than Pascal has humbled it. What do you think? Heart first? Or is reason best? 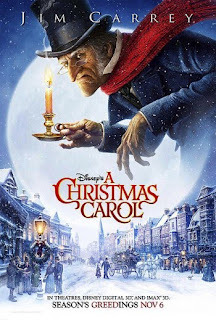 I'm excited to see the latest take on A Christmas Carol this weekend by Disney. Although I'm a fan of more traditional animation, and don't think Jim Carrey is the greatest, Charles Dickens's story is, in my opinion, one of the best ever written. I love the Muppet version and the old-school Mickey Mouse cartoon version. And each year my family sees the South Coast Repertory's production in Costa Mesa as well. So...what's the appeal? Why is A Christmas Carol reinterpreted and adapted over and over again? Why is Scrooge, a "squeezing, wrenching, grasping, scraping, clutching, covetous old sinner" from 19th-Century London, as ubiquitous during the holidays as Rudolph and Frosty? And why do even the bad TV-movie versions of the story tug at our heartstrings? It's because we all love a good redemption story, and that's what this is. There really is no compelling reason for us to sympathize with Scrooge, the protagonist. He has chosen a life isolated from humanity, exhausted of morals, and bankrupt of decency, gratefulness, and kindness. While we are being introduced to this despicable character, his behavior shocks us! He yells at a young caroler in the street, harasses charity collectors, mocks his own nephew, and refuses to give his bookkeeper, Bob Cratchit, more than a day off for Christmas. Cratchit's son, Tiny Tim, acts as Scrooge's foil. He is the paragon of childlike faith and joy. A crippled babe living on the threshold of poverty, he's described in the book as having a childish essence from God. Yet...we do sympathize with Scrooge as we find out more about his life and how his "nobler aspirations fell off one by one, until the master-passion, Gain, engrossed him." We start to see him thinking about how his words and actions have hurt others. We see penitence, grief, and pity, the very marrow in his bones disturbed by his own regrettable life. And then it happens. We see hope, change, and joy. "He became a good friend, as good a master, and as good a man, as the good old city knew, or any other good old city, town, or borough, in the good old world." We've had faith in Scrooge since the beginning. We've hung on for that miracle in his heart to ignite. And when it finally does...it ignites in ours as well. In the SCR's production, Scrooge asks the Ghost of Christmas Past why he's being haunted by all of these specters. "To restore your humanity," the spirit tells him. That gets me every time. I always feel, as I walk out of the theater, that my humanity is restored a little bit each year too. During the holidays, it's easy to be stressed and busy, but seeing Scrooge's transformation reminds me of the transforming power of Christ, and how he can rescue us, no matter how old we are or what we've done, to live lives with purpose, gratefulness, and love. 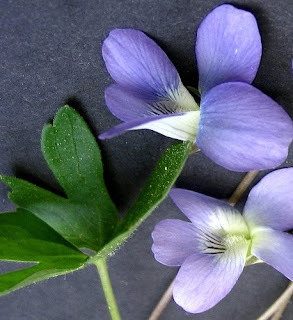 ...is the fragrance that the violet sheds on the heel that has crushed it. Do you have a "sick movie"...a go-to comfort film that calls your name when you're sick in bed, trying to sip Gatorade while tissues are shoved up your nostrils? Mine is Beaches. I grew up watching this movie, and I totally love the two main characters, Hillary Whitney and CC Bloom. As a kid, I was always torn over which one I liked better. Hillary (Barbara Hershey) was so pretty and classy, but CC (Bette Midler) was loud and fun and dang, could she sing. (I still have the soundtrack...on cassette.) This unlikely pair formed a lifelong friendship that started and ended on the beach. I actually don't even remember the last time I watched this movie while I was healthy. Maybe I wouldn't even like it. (Kidding.) 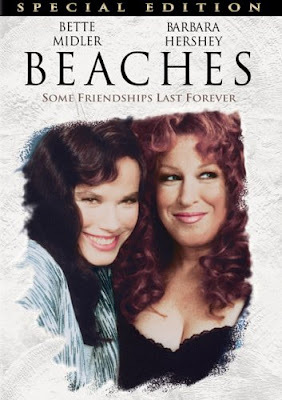 Yep...Beaches...definitely my favorite sick movie. What's yours? Here’s the thing—I know when I write, my flair for the dramatic sometimes comes out, and I let it, for the purpose of entertaining. That being said, I’m hesitant to attempt to describe how I’ve felt this week for fear that you’ll think I’m exaggerating...because I'm not. As I type this, I am in bed, wrapped in a pink Snuggie, fighting the flu; symptoms hit me on Halloween night. And while I know I didn’t exactly stare death in the face or overcome some exotic disease…I have felt like death since Saturday. Every part of my body has hurt for the last three and a half days. The balls of my feet hurt. My eye sockets hurt. My teeth hurt. I was sweating with fever and shivering with chills for three and a half days. I’d be hungry, sip two spoonfuls of soup, and feel nauseated for four hours. My muscles ached and I was so weak, I could barely take a shower. I was bedridden; I couldn’t even sit up for more than five minutes. Today was the first time since Halloween that I’ve been outside (I slowly walked around the block to just get some exercise). The hacking cough and snotty nose were the least of my problems. Today I finally turned the corner, although I am still very sick. I ate a whole bowl of soup and my amazing brother even bought me a java chip Frappuccino (oh, God, bless him). My mind is lucid again…I’m coming back! I don’t think I’ve ever been so sick. I can’t wait to straighten my hair, dress up for work, head back to the office and Crave, see friends, and eventually get back in the pool. I am so thankful to be getting over this nasty virus, so thankful for my awesome parents for taking care of me, and I can’t wait to be fully healthy again!